After trying the phenomenal Milk Makeup Sunshine Oil and “Meet The Fam” collection, the trending Cooling Water and Sunshine Oil duo began to pique my interest as one of the latest trending pieces (The Cooling Water and Sunshine Oil Set) for the vegan, gluten-free brand, which seems to make an excellent gifting option as well, and offers a great discount in comparison to retail. Milk Makeup tends to have clean products (always free of sulfates, parabens, and harsh chemical additives), that actually provide real efficacy with daily topical use. While using the Sunshine Oil, my skin was left fully refreshed, vibrant, more youthful in aesthetic, and more even- with the additional benefit of no breakouts, redness, irritation, or topical reactivity, even with sensitive and acne-prone skin. This is a great gifting option and also makes a great item for those new to the brand seeking an introductory item and looking to try out a couple of bestselling products at the same time. I was blown away by not only the products as standalone items and corresponding benefits with use, I was also quite pleased by their use in tandem, as using both products together definitely provides the skin with exponential anti-aging benefits and leaves the skin with an overall dewy aesthetic, providing glow and hydration following use. Don’t we all want younger, softer, and dewy looking skin for less money? This review will cover some main product features, a look at the two included items with briefer reviews, some main ingredients contained in the formulation and corresponding benefits with ongoing daily topical use. The Milk Makeup Sunshine Oil and Cooling Water duo are travel size kit featuring the cult-favorite Sunshine Oil in a .11oz size, along with the de-puffing and refreshing .19oz Cooling Water. While the Sunshine Oil can be used on the body and face, for longevity and fiscal reasons I traditionally only use it sparingly as a facial treatment. To date, it is one of the single best cosmetics and skincare products I have tried, and even after single-time use, the skin appears fully refreshed, hydrated, even in tone, brighter, and even signs of fine lines and wrinkles are reduced. It has a lovely fresh scent devoid of any chemical odors and is at quite a reasonable price in comparison to other oil products (which it tends to outperform) on the market. 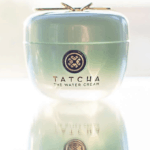 The Cooling Water Stick is an excellent option to refresh, hydrate, and de-puff the skin. If you’re looking to brighten and illuminate, you can swipe the product under the eyes and on the face and neck for instant hydration. It definitely helps in providing a dewy and refreshed aesthetic, and works perfectly in conjunction with the included Sunshine Oil. The set makes a great gifting option, particularly for those who enjoy vegan or gluten-free skincare products, at a very reasonable price in comparison to longevity and also for current fans of the line who are seeking variety or a travel kit. Alternatively, you may benefit from this collection if you decide not to opt into the “Meet The Fam” starter set as an introductory item to the brand, as it’s slightly less expensive and contains two of the standout skincare products for the brand. As one of the best products in the category I have tried to date, even in comparison to more expensive competitor products, Milk Makeup’s Sunshine Oil is something I would recommend to anyone searching for brightening benefits, hydration, soothing, more even texture and tone, and even anti-aging benefits. The multi-use all-in-one rollerball product supports “hydration from head to toe,” so it can be used for the body or face. Given the cost and size, particularly within the category of travel, I tend to use mine as a standalone facial skincare product, but for those who really enjoy the texture and benefits or can afford to do so, I could definitely see this being an excellent product for the body as well (in the treatment of dry patches or irritation on the body). It’s a suitable oil treatment solution for all skin types (including sensitive skin, barring any allergy to coconut or lemon peel in particular) that combines avocado, grapefruit peel, mandarin, and lemon peel oils to gently hydrate the skin, improve radiance and glow in those experiencing any sallowness, help achieve more even texture and provides resurfacing benefits, and helps to treat any dryness or dullness (even for the dryest skin). It can also be used in those with combination or oily skin types, as while it seems counterintuitive, it helps to restore normal oil balance to the skin while preventing breakouts, given the anti-acne formulation. It’s also an anti-aging oil that improves the appearance of any fine lines or wrinkles in the treatment of preexisting damage, while acting as a preventative product for future damage. After ongoing topical use, you can definitely see a vast improvement in signs of finer set wrinkles, and I ended up receiving compliments almost immediately following use. The product is paraben-free, has an eco-friendly design, and the oil formulation provides great hydration without feeling greasy or heavy on the skin. No residue is leftover, and skin is refreshed and brightened in the morning following evening use the night prior. It’s also perfect when used under a makeup routine for a more radiant and glowing finishing aesthetic. I would highly recommend this product (for those of any skin type) looking to see results including brightening, restored radiance, anti-aging improvements, and improved tone and texture. It also feels wonderful and fresh to apply, and with that in mind it is important to avoid product overuse (as it can create redness or topical irritation, and will not improvement benefits). Generally 2-3 pumps are sufficient for the entire face and neck area, and 1 pump is suitable for a daily pick-me-up. Designed to be an anti-eye treatment to alleviate any puffiness, this multi-use product can also be used to hydrate and freshen up the skin, mixed with Sunshine Oil, and applied to the neck and face for brightening benefits and a more luminous finishing aesthetic. In addition, it glides on smoothly and feels incredibly refreshing, never feels greasy or sticky on the face (similarly to the Sunshine Oil), and offers a great mid-day or morning pick me up. The product is formulated with caffeine and seawater that is suitable for all skin types, including sensitive skin, barring any ingredient to a specific product formulation. Even with acne-prone and sensitive skin, I experienced no redness, reaction, acne, or irritation following use. You may opt to apply the stick applicator directly to the under eye area gently for cooling and de-puffing benefits, but if desired, you may use on the neck, face, and body for a cool burst of invigoration, and it can also be used as a primer. While used prior to a makeup application (especially in conjunction with Sunshine Oil), there is both a need for less foundation as well as a more radiant and flawless finishing aesthetic. It’s designed to treat dry skin (but can be used for balance in combination complexion), dullness, puffiness, and uneven texture, but it’s not comparable to the vast majority of serums on the market, in terms of those seeking retroactive or more advanced anti-aging benefits. You may even opt to put the product in the fridge for a while prior to use as it feels even better to use, and lacks any “slip”. It glides on the skin gently and feels refreshing and cooling, it’s the perfect pick-me-up for tired eyes, and great for puffy eyes in the morning or after long hours at work, or perhaps after too much screen time. As with the Sunshine Oil, a conservative amount of product provides excellent longevity benefits and value (even given the travel size nature of the product). It became a daily go-to and a product I needed to take with me in my purse to always have on hand as needed, and it is extremely hydrating. It’s important to try to resist the urge to overuse it, as it does feel quite good and you might want to keep reapplying it, similarly to its counterpart in the duo. I would recommend this product for anyone seeking de-puffing under the eye area and a smooth and refreshed aesthetic, and it works wonderfully in conjunction with the Sunshine Oil as provided in the kit. Image Credit: Milk Makeup, Cooling Stick. Especially if you are prone to sensitive skin, reactivity, acne-prone, or suffer from different allergens- or if you’re simply a fan of either clean or vegan products, it’s often as important to pay attention to ingredients in the formulations in topical products as you would a grocery list or the foods you consume. With that in mind, here is a key look at some of the main ingredients found within the products in the set and corresponding benefits with every day topical use. Anti-inflammatory properties: promote healing and soothing to the skin provided there is any topical irritation, damage, etc. Especially considering varying skin sensitivities and concerns about trying out new facial products or topical products (particularly for fans of vegan of gluten-free cosmetics), the return policy in this case may be a highly important factor for you. If you are dissatisfied with the use of either of the skincare products in the set, or if they do not work for your skin to provide suitable hydrating, brightening, or general benefits, or you experience any product allergy or reaction to the formulation, you may elect to return it at any time. If you feel the policy if not taken into consideration, you may contact customer service, and you can remain ensured you will receive a full refund. It’s important to take into considering the entire set will need to be returned as the policy does not apply for refund or exchange with individual items contained within the set, providing you only enjoyed one. Milk Makeup Cooling Water & Sunshine Oil Set: Worth It? Both the Sunshine Oil and Cooling Water stick provided in Milk Makeup’s travel duo set work in tandem to deliver excellent hydrating benefits, as well as brightening up the entire complexion, providing a suitable barrier on the skin to protect from future damage, anti-aging benefits, improved vibrancy for those with dry or sallow skin types, and restored tone and texture. Additionally, the line is entirely vegan, gluten-free, and cruelty-free, with transparent and eco-friendly practices, and formulations that always remain clean and devoid of harsh chemical additives. With that in mind, the products are suitable and great for those of all or any skin type, and the product itself makes a lovely gifting option for those on your list who enjoy skincare, or as a starter set if you have not previously tried the line before. You may also wish to purchase the item to break down the included products into smaller, stocking-stuffer type gifts. Both the Sunshine Oil and Cooling Water make the perfect duo for those seeking fresh and repaired complexions, soft dewy glows, and vast improvements in skincare tone, texture, quality, and overall health. Overall, highly recommended and 5/5 stars! Users will be very likely to purchase the full sizes prior to use, which is the only single warning!